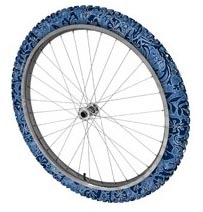 SweetskinZ will also introduce 12", 16" and 24" versions of their unique tires at Interbike. "We have answered the call from parents and kids by creating these sizes, and along with our expanded new designs, even more cyclists will be able to personalize their bicycle to reflect their individual style," said Andrew Boyland, Chief Executive Officer of SweetskinZ, Inc. In addition to the new graphics and tire sizes, SweetskinZ is preparing to bring its patented "SkinZ" to other tire markets. "We are currently working with leaders in the ATV, automobile, dirt bike and motorcycle tire industries to conduct research and development with the plan of bringing SweetskinZ designs to these industries in the near future," said Boyland. Since the beginning of 2007 SweetskinZ has expanded its distribution to include Canada, Europe and the Middle East through nine major distributors. Currently SweetskinZ is working to establish distribution systems throughout Asia, Australia, the Pacific Rim and South America. The company has also tripled the network of independent bicycle retailers carrying SweetskinZ tires. SweetskinZ designs and manufactures the world's first bicycle tire that features full-color graphics and patterns that are also reflective at night. This one-of-a-kind combination makes SweetskinZ tires not only the best looking tires on the market but also helps enhance the safety of the rider. For more information on SweetskinZ or to view the entire product line, please visit www.SweetskinZ.com.